Last Friday I shared a few baseball haiku. The following poem I originally wrote in June 2008. Like my baseball haiku, it has less to do with the game of baseball than with the ballpark experience. 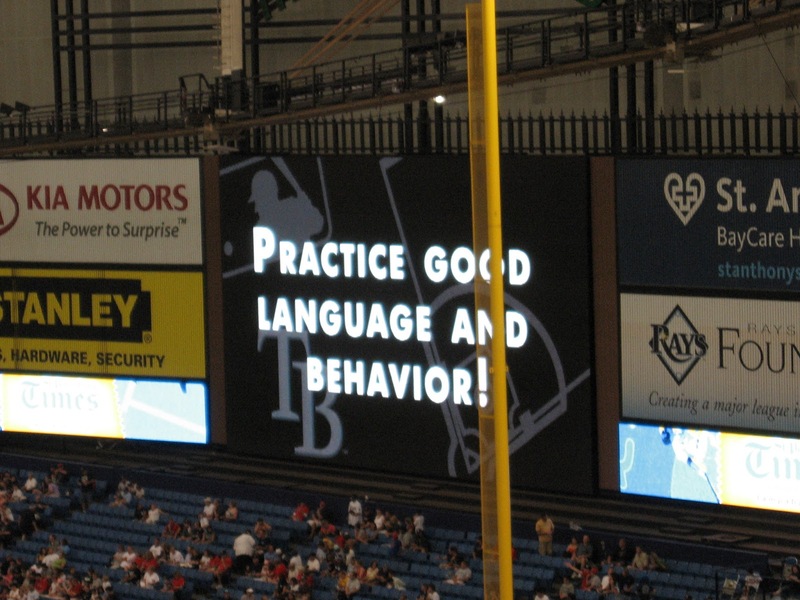 This photo, taken at Tropicana Field in St. Petersburg, FL, in 2009, is good advice for spectators and poets alike! Photo © Diane Mayr, all rights reserved. Okay! 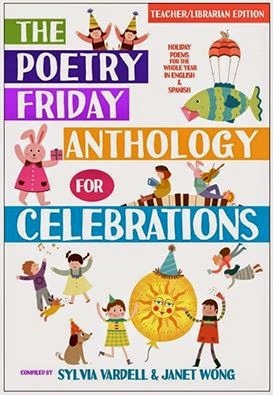 Are we ready for the Poetry Friday Round-Up? Let's (metaphorically) play ball! Leave links to your posts in the comments and I will gather them here. I'll start with my two other blogs, Kurious Kitty's Kurio Kabinet, and KK's Kwotes. At Kurious Kitty we look at the delightful new book by Amy Ludwig VanDerwater, Forest Has a Song. KK has a quote by Elana Aguilar. The first to post a comment was Charles Ghigna who has an original poem called "Rain." We've had a bit of rain around here lately--cold, cold, cold and unpleasant, but Charles poem recalls summer rain, and I, too, "like sleeping when it rains." At Author Amok, Laura has April Halprin Wayland to show us the website, RhymeWeaver, for today's TechnoVerse post. We also meet RhymeWeaver's creator. I'm hoping to learn how to write better rhyme and meter! Mrs. Merrill has an brief conversation with a first-grader who foolishly expects Mrs. Merrill to grow up one day! My friend Laura Salas has been showing us video poem prompts for NPM. Today's video incorporated "Sing a Song of Cities," by Lee Bennett Hopkins. Make sure you catch all of Laura's Video Poem Starters! They're amazing! Tara shares a poem by Mary Oliver, "Spring in the Classroom." I've got a bad case of spring fever myself, so I can really relate! "An Unexpected Visitor" is the subject and title of an original poem by Bridget Magee. Visitors are one of the "perks" of living in the desert! Over at Reflections on the Teche, Margaret has information about the ghazel, and an original called "...writing bad poetry." I don't know about you, but Margaret's skin tone doesn't seem blue to me! Liz Steinglass asks "Why Haiku?" today. To which I say, "why not?" 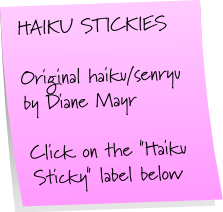 I am so pleased to see that Liz has found out that haiku are not defined by lines and syllables! Matt Forrest Esenwine is more than ready for spring with an original poem called "Lost Spring." Hope you feel better, Matt! There's a book give-a-way going on 1000 Poems where Vikram has two signed copies of The Bubble Collector. Check out the book trailer--it's more enjoyable than a poke in the eye! Robyn Hood Black has a poem by Eileen Spinelli, "Today." Robyn also reports that last week's Poetry Friday Round-Up is lost in cyberspace! What's up with that? Linda at Teacher Dance has two original poems in the style of French Lais. If, like me, you don't know what a French Lai is, be sure to stop by! Wow, here's something new--a poem about a lobster boat name! At Mainely Write, that's what you'll find as part of Donna's A to Z challenge. Myra at Gathering Books shares a "Flying Crooked" by Robert Graves. It's a poem about butterflies! It's not quite butterfly time here, yet, but one can hope. Violet Nesdoly has an original for us today, "adolescent spring." It has introduced me to a hornbeam. I don't believe I've ever come across that name before. It sounds more like a dual device on the front of a car! Lorie Ann Grover at On Point shares the news of Zondervan's new imprint, Blink, and, Lorie is playing a role! How exciting! Lorie also has a poem about stories between blinks of an eye! Dia Calhoun knows how to win me over--she has a poem about a cat--"Little Comfort." I must say, though, I'm not too pleased with my little cat, Smudgie, right now. She has herself planted on my left wrist on my keyboard! At readertotz, Lorie and Joan have a smile-inducing video with Elmo and Melissa McCarthy. Yeah, Baby! A Jon Agee poem, "High Jump," is featured at GottaBook. Gregory K. has a NPM that's chocky-block full! Look for The 14 Fibs of Gregory K., due to be released in October! Hazard types, snow and sleet mixing with rain, with some pockets of freezing rain possible. Accumulations, snow accumulation of up to 1 inch, along with around a trace of ice. My friend Tabatha Yeatts has a slew of poetry-related tees that is sure to make everyone want to go out and buy one (or create one). "One Week to Freedom" at The Drawer! Sounds like a full sail ahead! David Elzey explains his participation in "Pulitzer Remix," a month-long project where poets use a Pulitzer Prize-winning work of fiction as the basis for creating found poetry. He, along with 85 other poets are writing a poem a day. A prize for all the participants should be in order! At Reading to the Core Catherine shares Y. B. Yeats' "The Lake Isle of Innisfree," which puts her in mind of a Maine cabin in which she made many happy memories. I hope Catherine, and all teachers, find their upcoming spring break to be just that--a break! Heidi Mordhurst's 2013 NPM project is the 30days30words collaborative, a crowd-sourced poem, which is constructed on a word-a-day basis. Each day is a surprise! I always find Mary Lee to be an inspiration, but today, she is inspiring us with a sound "like a rainbow in the clear sky." Go see what it's all about! First, at The Writer’s Whimsy, I’m featuring parody poems, including a short prompt and an original poem called Parrot! Parrot! Parody: Mockingbird of poetry. Second: Who knew that Rumpelstiltskin was a poet? To see for yourself, check out my interview featuring Liesl Shurtliff , author of newly-released RUMP: THE TRUE STORY OF RUMPELSTILTSKIN. Liesl shares one of the poems from RUMP, and is giving away a copy this wonderful book! Third: I discovered another poet character among a recent debut MG release. 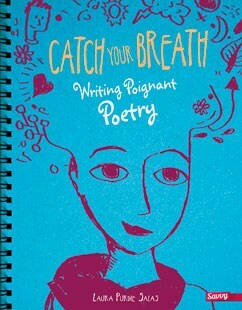 Her name is Ratchet and she writes poetry in THIS JOURNAL BELONGS TO RATCHET by Nancy J. Cavanaugh. 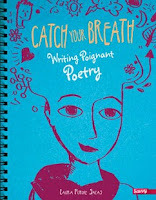 To see a poem from Ratchet’s journal, visit Smack Dab Blog to read my interview with Nancy. Julie Larios shares James Merrill's poem, "Cloud Country." A whole lot of whirling going on! And, if you check out her post from the 8th, Julie goes into a little detail about the inner workings of the 2013 Progressive Poem. Maria's thoughtful student suggested using Wonderopolis for Poetry Friday. Since I'd never heard of it, I thought I'd check it out quickly. Whoa! I can see there's going to be no quickly about it! Find out how Maria uses Wonderopolis at Teaching in the 21st Century! Head over to The Poem Farm where Amy has been sketching madly (I love all the little notes that surround her drawings). She also has been gifted (is gifted a legitimate word?) by a group of second grade poets (look for the caterpillar's contribution). Carol is writing aruns today. (I hate to get off track, but I once had an Arun in preschool storyhour and one day he had a bout of projectile vomiting--all over me! I'll never see arun without thinking of Arun, who is now probably in his late 20s!) 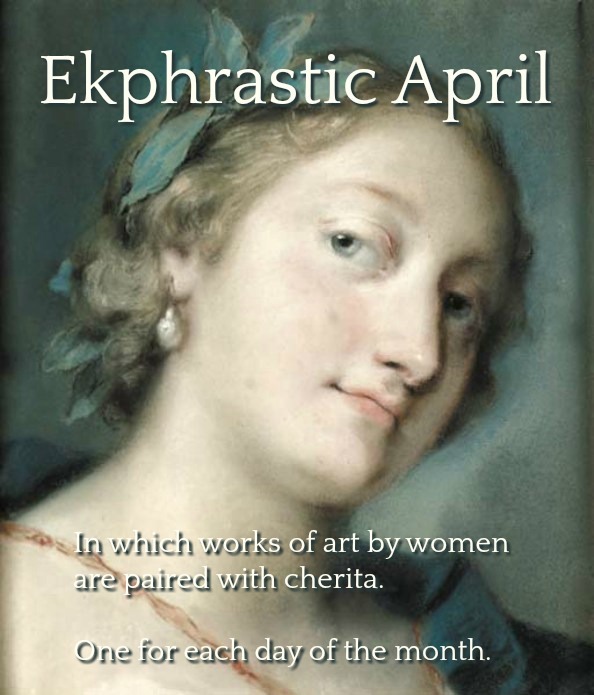 Back to poetic aruns--Carol's Corner has two originals to share today. Ruth has a lovely (no exaggeration) original poem, "Purple Flowers in a Field, July 19th, 2012," here. She also has a mini-round-up of her daily NPM posts. Third grade cinquains have figuratively flown in from around the world. 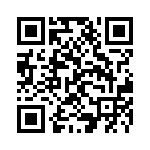 See what I'm talking about at Check It Out, where Jone is sharing student poetry all month long. Andi, another haiku aficionado, shares another in her series of daily haiga (illustrated haiku) at A Wrung Sponge. Today's is an April rain piece. Bildungsroman is the place to visit for an introduction to Sarah Kay's B. There's a link to a Ted video where you can see/listen to Kay's poetry. I guess you can say Keri is in with an ripple effect poem today, "Bees are a Few of My Favorite Things." She was inspired by Laura Salas's poem "Bs are a Few of My Favorite Things," which was inspired by the song from Sound of Music! MotherReader has a video of John Green and Hank Green's "Evening of Awesome" performance at Carnegie Hall. What a treat! 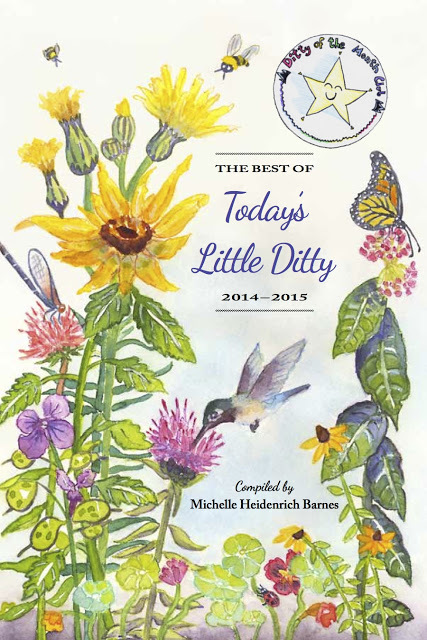 I never said this was a G-rated site, so here goes--Michelle H. Barnes, a former blog virgin, has now been "P-flowered," (P for poetry) with the launch of her new poetry blog, Today's Little Ditty. WELCOME MICHELLE! By starlite, via Wikimedia Commons. Dori Reads celebrates a "sudden line of poetry" by sharing "The Secret" by Denise Levertov. Remember that old breath mint commercial, "two, two, two mints in one"? Elaine, at Wild Rose Reader has "two, two, two poems in one." I kid you not! At Books4Learning, you'll find a review of Douglas Florian's Comets, Stars, the Moon, and Mars: Space Poems and Paintings. Kerry Aradhya has a poem by Justine Rowden, "Curtsy," a delightful combination of dance and cherry blossoms. Kerry also promises a review of Rowden's Paint Me a Poem: Poems Inspired by Masterpieces of Art, to be coming soon. Cathy at Merely Day By Day is day 12 into her NPM 30 Day Challenge. Today she writes about balance. Here's our last link for the Round-Up: Janet Squires looks at Rhyme & Punishment: Adventures in Wordplay written by Brian P. Cleary and illustrated by J.P. Sandy. Sounds like a book with lots of appeal! I am officially off-duty. Since I didn't work today, I'll be working a Saturday shift at the library, so, if any additional links come in, I hope they come in before 8:30 when I leave for work. Have a great weekend everyone! Okay, technically it was 11:29 pm when he commented, so Ed DeCaria did make it in time for Poetry Friday. Here's what he has going on at his blog: "I comment on the growing pains associated with the 2013 March Madness Poetry tournament, and share some ideas for the future. All are invited to comment." So, if you participated as a poet, or as a voter, or, if you have no idea what it was all about and would like to know, click here. Oh, what a great poem for the season! We just went to our first family Major League game last week - the Nationals. And it is just as much fun sometimes to watch the fans and vendors as it is to watch the game! Thanks for hosting Diane! And your poem makes me want to get out to the ballpark. Trying a new to me form today. Wrote two original aruns. Thank you for hosting! I have an original poem today. http://thereisnosuchthingasagodforsakentown.blogspot.com/2013/04/poetry-friday-purple-flowers-in-field.html I'll be back later to read everyone else's! Thanks for hosting, Diane! 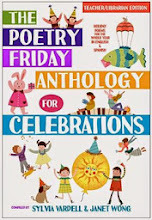 My Poetry Friday post today features one silly poem, two fun poetry books, and several more ways to celebrate National Poetry Month! Thanks for hosting today, Diane, and for your ballpark poem. Here in Minneapolis, our Twins' open-air stadium got 5 fresh inches of snow yesterday...a frosty start to the season for us! You nailed that lemonade seller! 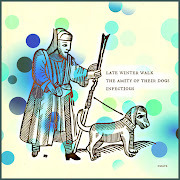 I have today's haiga up on A Wrung Sponge today. Today is a rainy spring day perfect for reading poetry blogs. Thanks for rounding us up! Thanks for doing the roundup today! I posted a piece of B by Sarah Kay at Bildungsroman. Thanks for hosting, Diane! Stopped by again to read your poem for today. The fifth grade I'm working with is writing food poems. Your poem is a great model of how food can help tell a story -- it's connected to place and character, as well as taste. What a terrific hostess you are! I'm sorry you're so cold -- come to Mississippi, dodge the tornadoes, and bask in the sunshine! I have a bee poem in response to a B poem by Laura Salas, and a photo of one of "our girls" taken by my son Robert. You'll find them at http://kerirecommends.com/2013/04/12/poetry-friday--bees-are-a-few-of-my-favorite-things.aspx. 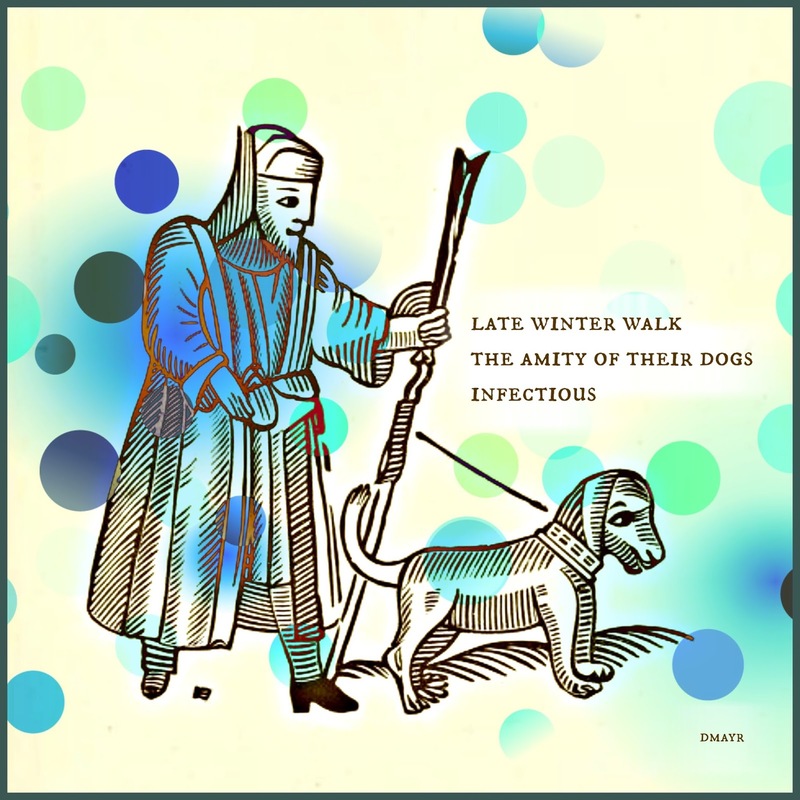 I have another installment of songs as poetry with "This Year" from the Mountain Goats and featuring excited stage presence of John and Hank Green. Hi Diane, your poem inspired me to go grab a glass of lemonade before diving in with this comment. Good stuff! I've been lurking Poetry Friday installments for several weeks now and am hoping that I, too, can play with the big kids. 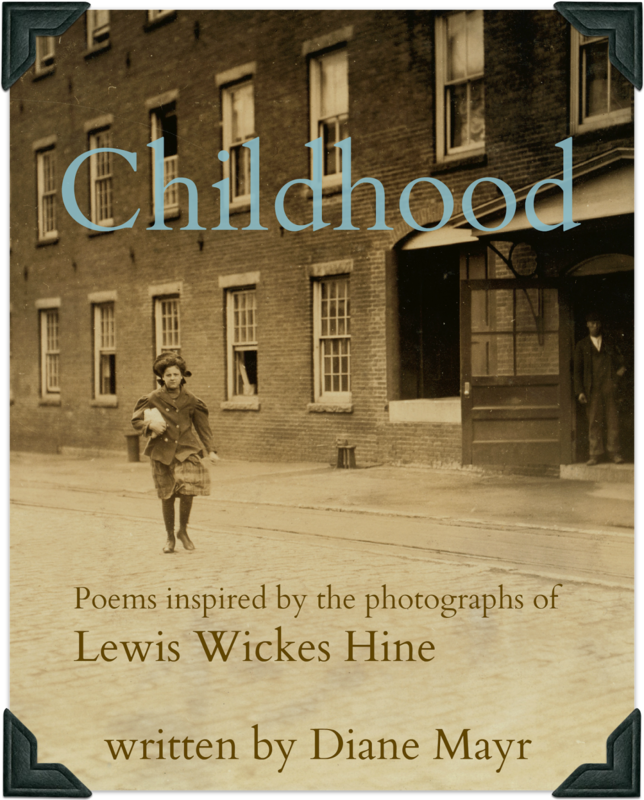 Today I am taking my new children's poetry blog, Today's Little Ditty, live. Hope you will join me here: http://michellehbarnes.blogspot.com/. Cheers! Thanks for hosting Diane. I loved your poem and the picture to go with it. I'm celebrating the line today! At Wild Rose Reader, I have an original spring poem...written two ways--as an acrostic and a quatrain. Please add my post. Thanks for hosting. Joy Acey's link is incorrect in your writeup. Somehow yours got jumbled with it! Thanks, I don't know how that happened because the link was correct in the guts part of the post. I've taken it out and put it back in again. Would you test it to see if it works on your end? Hi Bridget! We started off with a small cat, we named Bitz. When we got Smudge, who was even smaller, we just named her after her coloration (gray). We never though of Smidge, which would have been great. Smudge is now about 17, still the size of a large kitten-- barely 5 pounds--and still fairly energetic, considering her age. Now that she's an old lady, she's not afraid of speaking her mind, or getting a bit cranky once in a while. She will be in a haiga here on Sunday, so come back to see what she looks like. The photo was taken within the past year. My friend, Andrea Murphy, has a rat terrier named Mary Murphy. If your dog has eye problems, let me know and I'll put you in contact with Andy. Mary Murphy has been cured by diet alone! It's been nothing short of miraculous. Thanks so much for hosting Diane, and for the baseball atmosphere. It takes me back to the days when our son played and your sign about language and behavior was most apropos. The hornbeam is actually a tree. I didn't know it either until the trees on the path needed trimming last year and the arborist gave a quote for trimming the "hornbeams." A pretty useful, hardy tree too according to THIS INFO from Wikipedia. How could I have lived 60+ years without ever having heard the name "hornbeam." It's not like its some exotic tree that's only found in Northeast South Sibolia. Wow, there's a lot of poetry here to read! Enjoyed your poem of the frozen lemonade vendors. The vendors are as entertaining to watch as the baseball game --- well, more so for me. Twirling and tossing worked well together especially the way you set them off in their own lines. Thanks for sharing. I have an original poem about balance: http://merelydaybyday.blogspot.com/2013/04/12-of-30-elusive-quest.html. Thanks for hosting. I enjoyed wandering around your blog. Participating in this event is filling the folders of my reader. My selection is "Rhyme & punishment: adventures in wordplay" written by Brian P. Cleary and illustrated by J.P. Sandy. It's still Friday! At TKT, I comment on the growing pains associated with the 2013 March Madness Poetry tournament, and share some ideas for the future. All are invited to comment. Diane, I really enjoyed your poem. I don't recall ever before reading a poem from the POV of a minor league ballpark vendor! Thanks for posting (and hosting).